Plumb Crazy, Inc. is a fully licensed, family owned and operated plumbing contractor, which services Leesburg, Sterling, Ashburn, Purcellville, Hamilton, Brambleton, Dulles, Cascades, Chantilly, Lovettsville, and surrounding areas of Northern Virginia including Loudoun County. 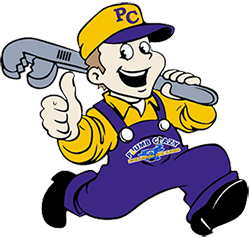 From leak repair to water heater installation, garbage disposals, leaky pipes, sump pumps, unclog drains, remodel your kitchen or bathroom, count on Plumb Crazy, Inc., for all your plumbing needs, large or small. Click Here to visit the Manufacturers' Page.